As systems become more distributed and complex, maintaining privacy of data and ensuring data integrity continue to remain challenges that software practitioners must grapple with. Developing such systems poses not only technical challenges but also demands compliance to privacy laws. Eliciting precise privacy requirements is thus an important step in building these software systems. 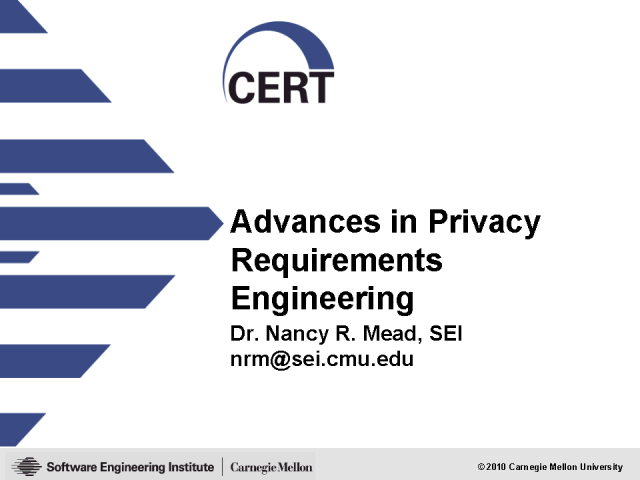 This talk explores the use of a disciplined approach to identify privacy requirements. The SQUARE process, which was developed for security requirements engineering, is adapted for privacy, and other work in privacy requirements engineering is also highlighted.